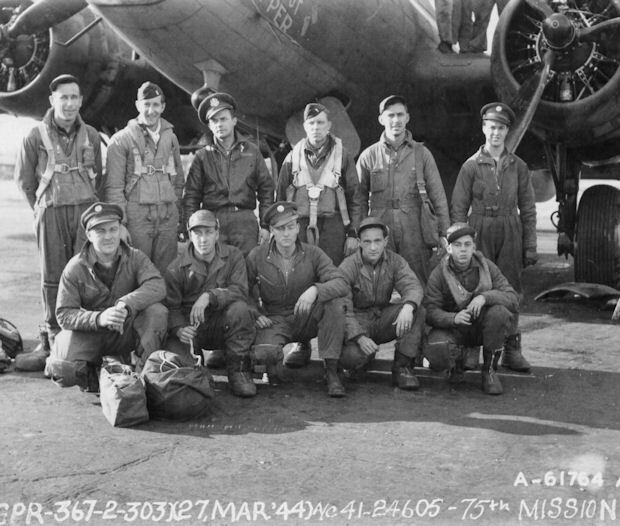 As Pilot: - 20 credited missions: 2Lt Richard K. Marsh (CP) - 110(AS) (21 Feb 44),111(AS), 112, 113, 115, 121, 123(A), 124, 127, 128, 129, 130 (AS), 131, 132, 133; 2Lt Charles H. Rice (CP) - 139, 140, 142; Three other CoPilots (146, 151 (FTO) & 152 (12 May 1944). (A) Non-Credited aborted mission -- (AS) Credited abortive sortie - no bombs dropped -- (FTO) Failed to take off. Crew Note: 2Lt John N. Savage (P) - Flew 11 credited missions as CoPilot with the 2Lt Billy M. Goolsby crew. Upgraded from CoPilot to Pilot on orders dated 12 January 1944. Flew first mission as 1st Pilot on 21 February 1944. Flew 20 credited mission as 1st Pilot. 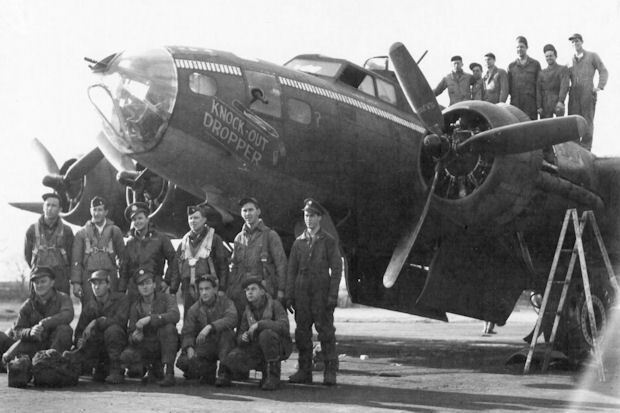 Was Pilot on mission 129, 27 March 1944, which was the 75th and last mission of original B-17F #41-24605 Knockout Dropper (359BS) BN-R - first 8th AF B-17 to fly 75 combat missions. Combat tour completed on 12 May 1944.